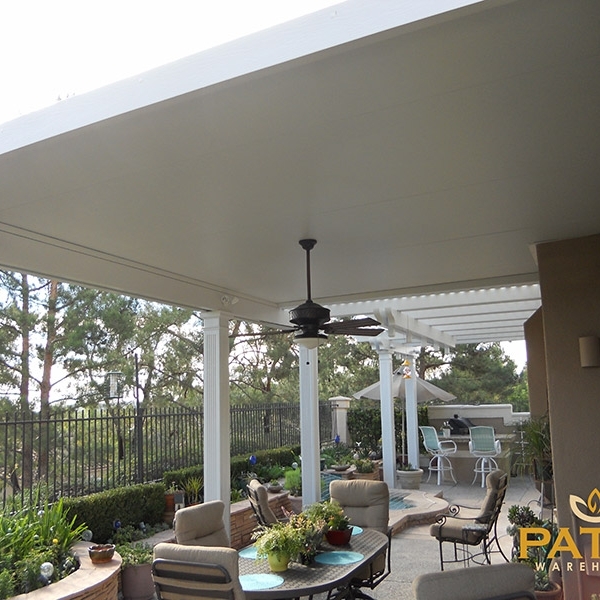 Scroll through the following gallery of combination (solid and lattice) patio cover photos displaying our quality craftsmanship. 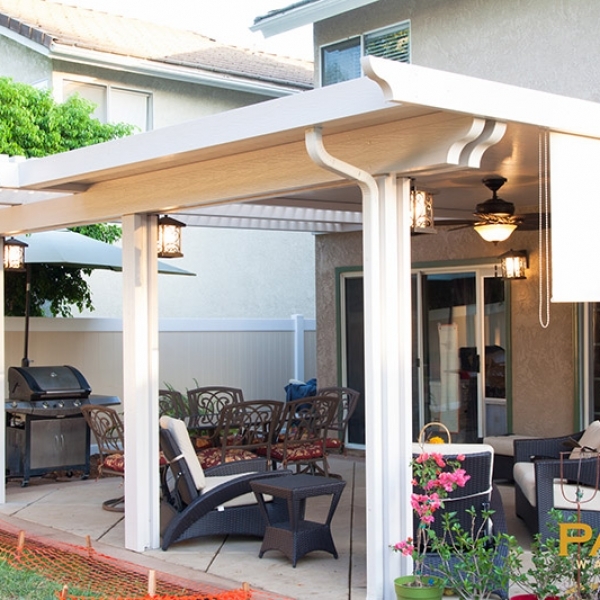 When it comes to creating the best patio cover solution, customization is the key. 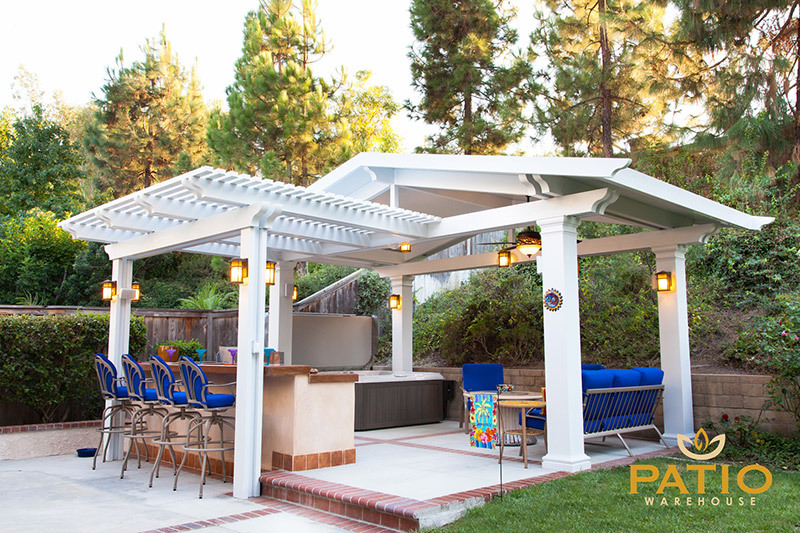 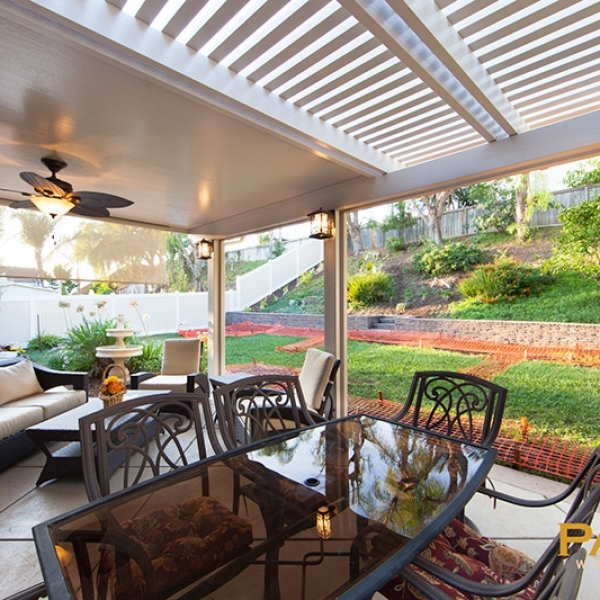 With the versatility of Elitewood combo patio covers, Orange County homeowners can find fun in the sun and the shade. 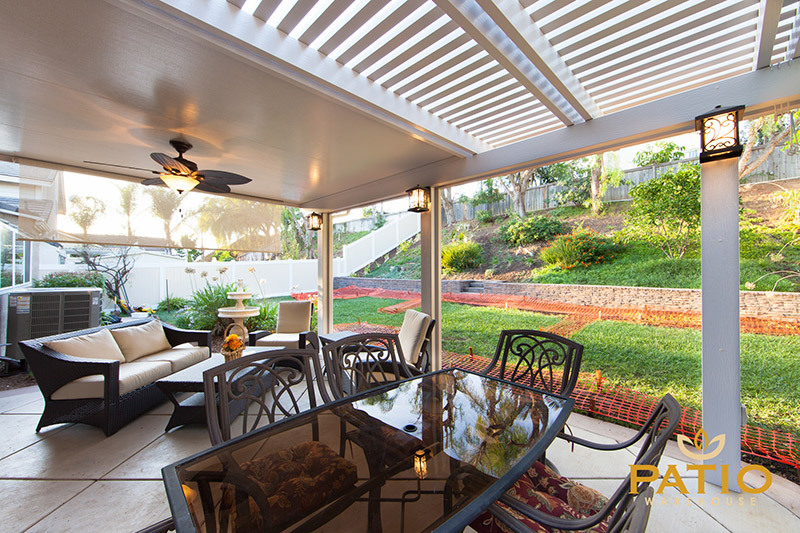 These sturdy aluminum patio covers feature the open air elegance of a lattice cover along with the shaded protection of a solid patio cover. 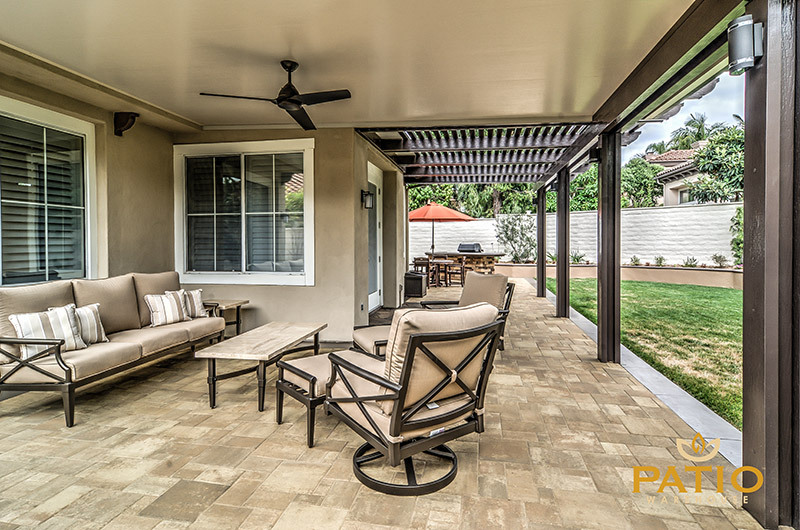 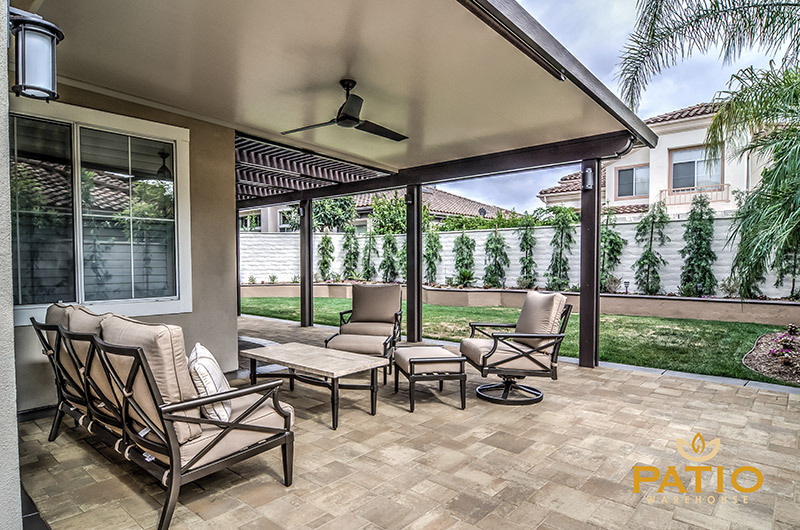 Whether you’re extending your home’s usable square footage with an attached patio or creating a backyard oasis with a stand-alone shelter, the experts at Patio Warehouse can help you select the perfect architectural design, custom paint color, and embossed wood texture. 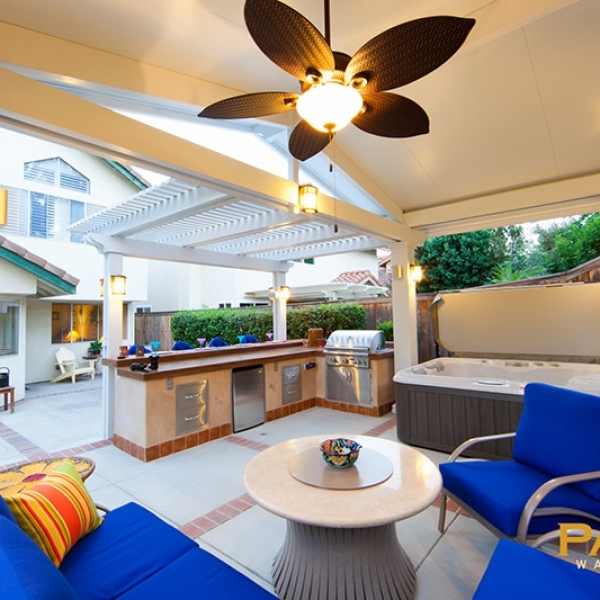 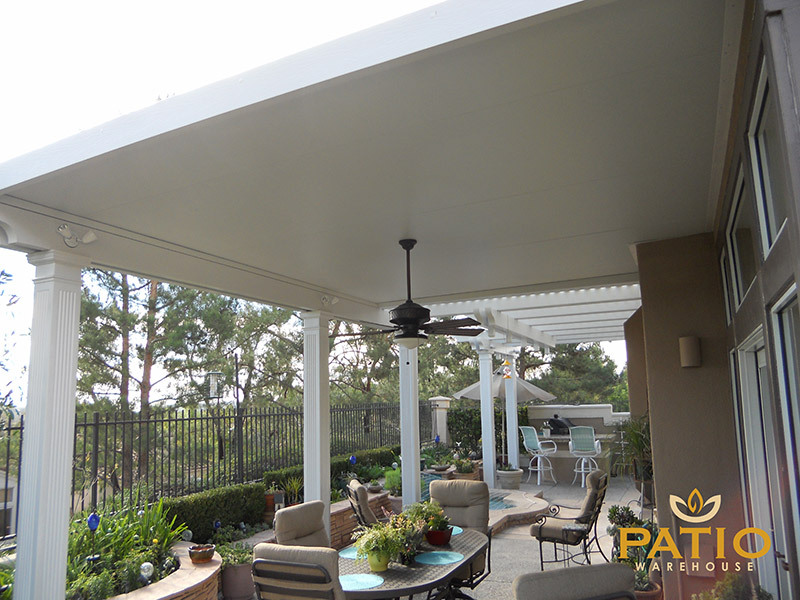 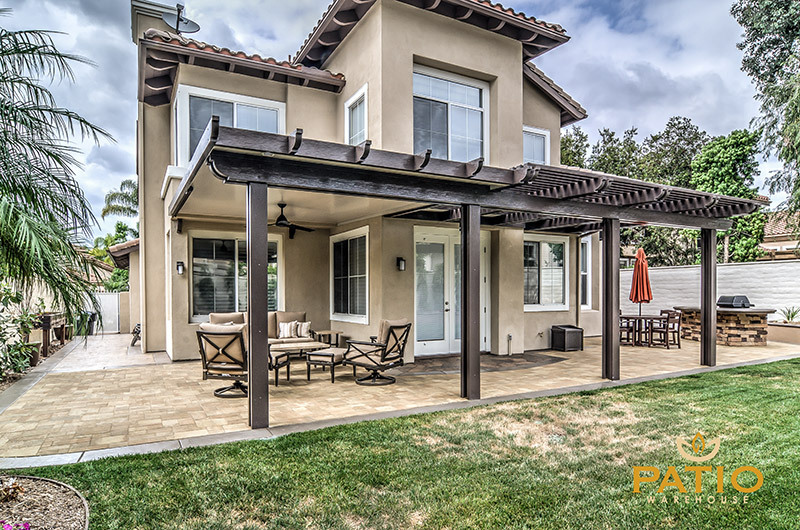 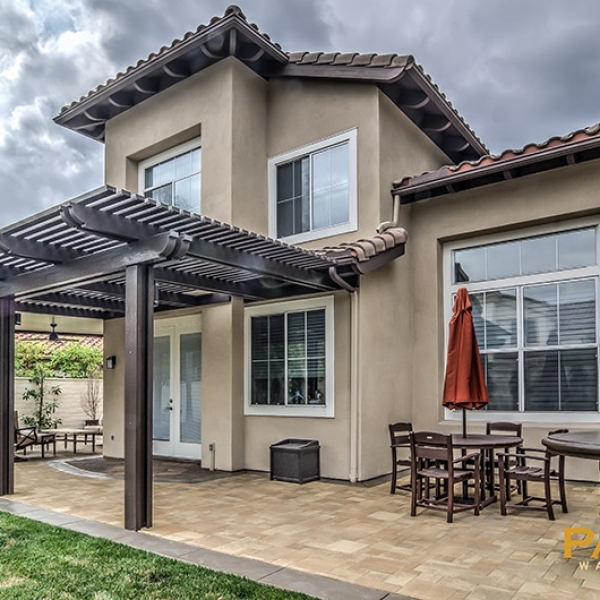 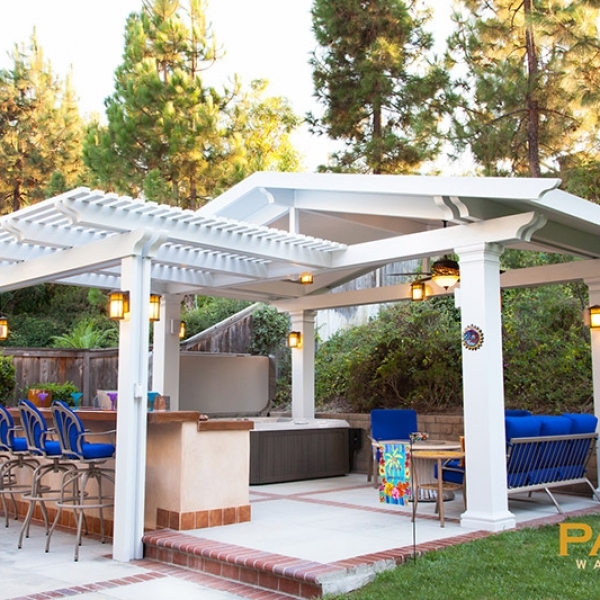 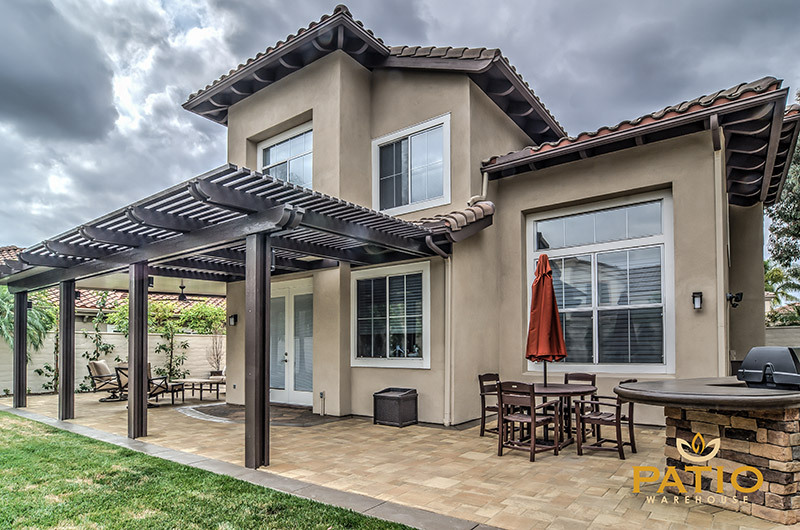 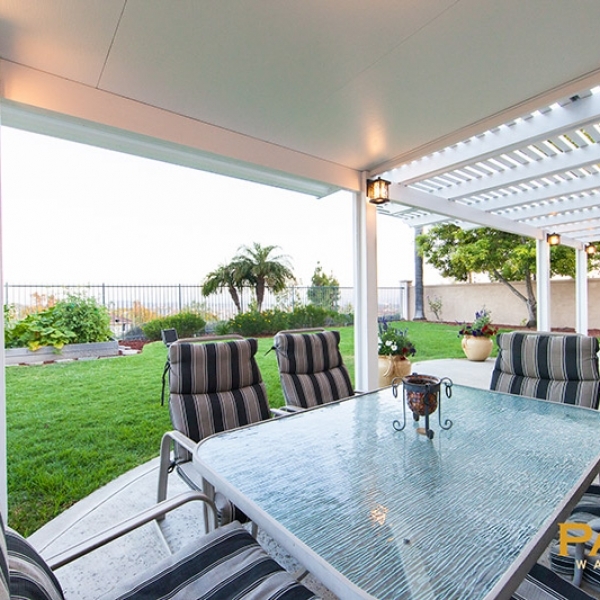 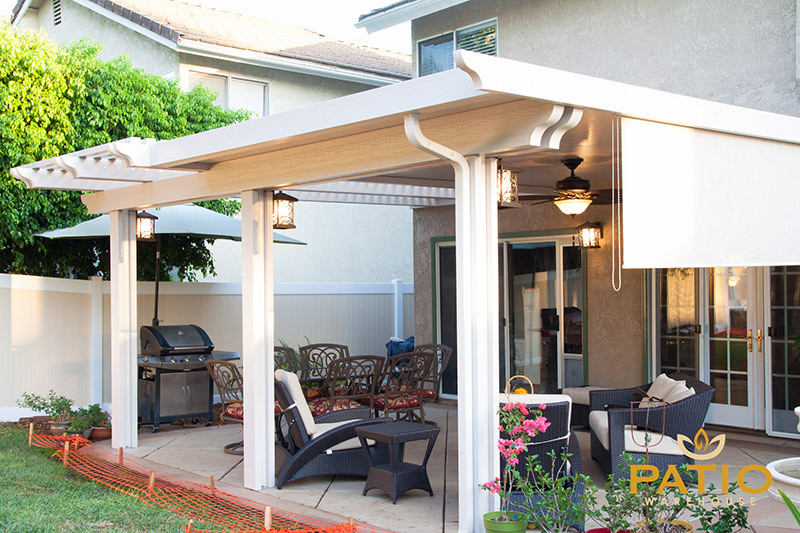 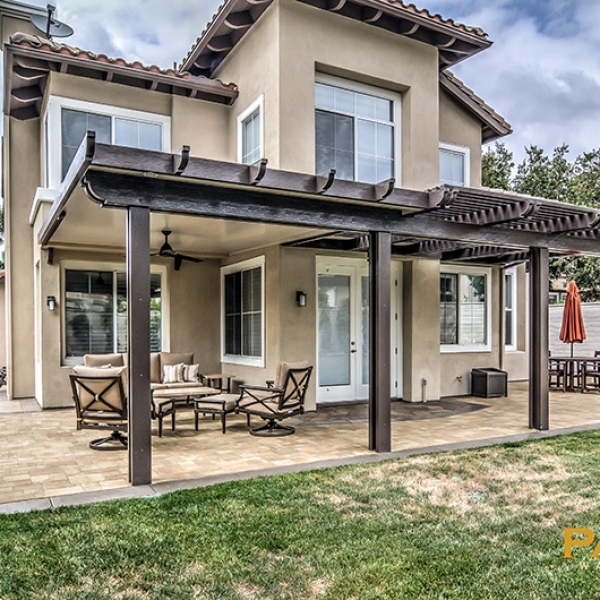 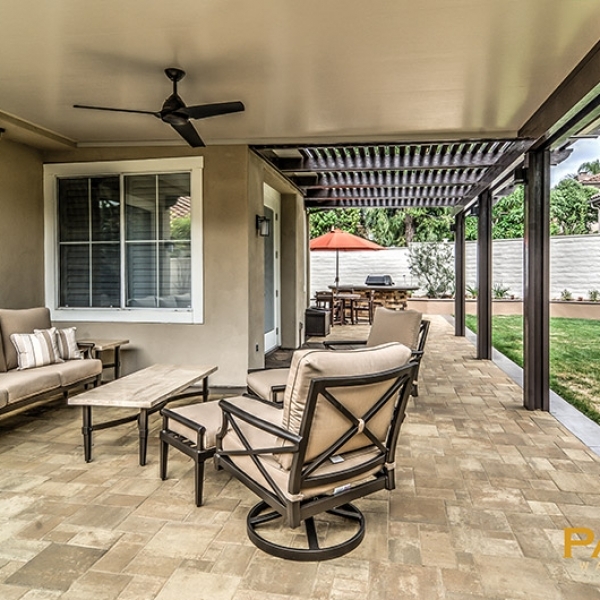 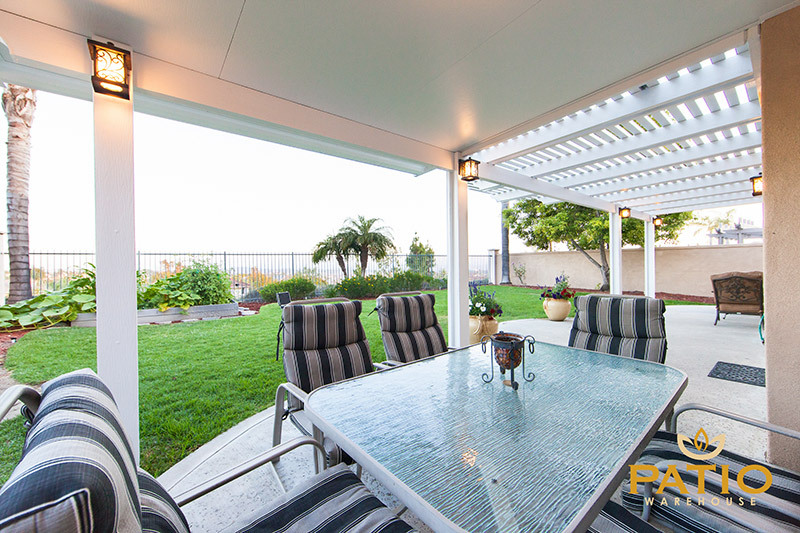 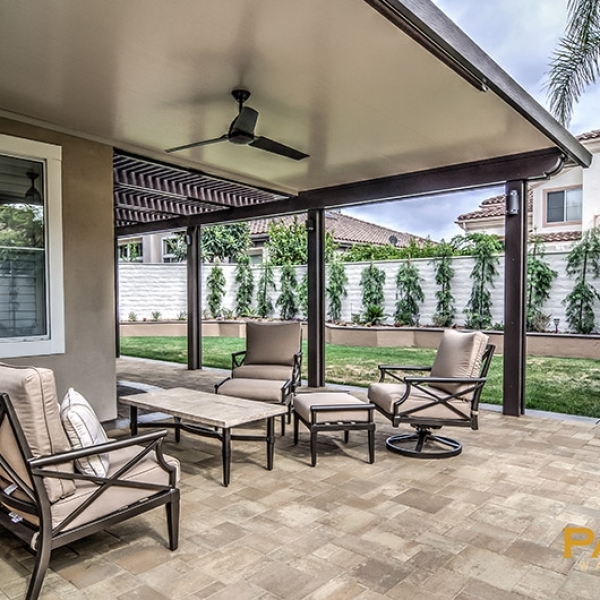 When you combine the stylish dependability of the best Elitewood aluminum combination patio covers (solid and lattice) with the time-tested expertise of Orange County’s best patio contractor, you’ve got a winning combo. 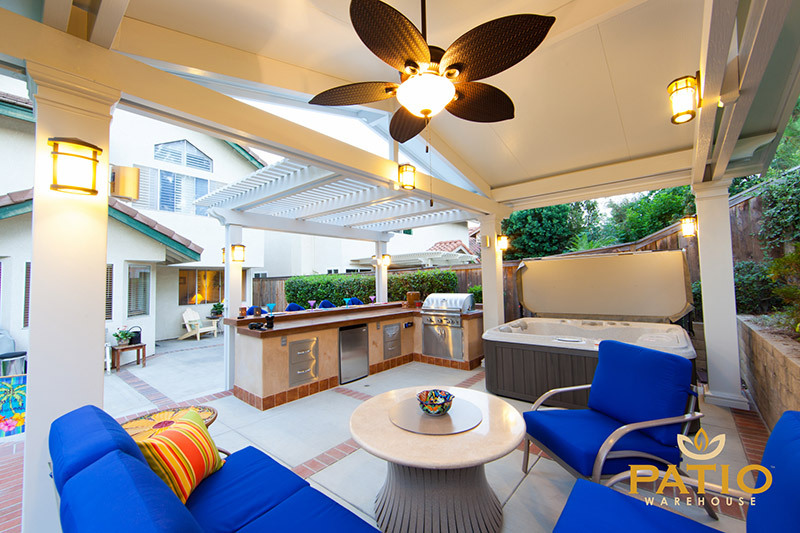 To learn more about what we can do specifically for you, contact our office and set up a personalized consultation.